With news leaking over the weekend of an upgraded buy-out offer from Broadcom, Qualcomm continues to look for ways to show its value and potential for growth to shareholders in the coming years. The battle with Apple, along with the pending legal concerns in various regions, is one angle the market is watching to measure Qualcomm’s long-term value. In the announcement last week, Samsung and Qualcomm agreed to amend and extend its cross-licensing agreement that allows both companies to utilize the other’s technologies in development of current and future products. Most importantly, the Samsung agreement is part of a device-level license, meaning that Qualcomm will earn a fixed amount for every smartphone handset that the Korean mobile giant ships. As Samsung is the world’s largest provider of phones in the world, this is a significant win for Qualcomm. But the underlying implication of this agreement should have impact on the ongoing legal battles between Qualcomm and Apple surrounding these very same licensing methods. The crux of Apple’s dispute is that per-device licensing fees are fundamentally disadvantageous to everyone in the market, except for Qualcomm. Apple is fighting to tear up the current agreements that Qualcomm has with its vendors (which Apple is using to build its phones and avoid a direct agreement with Qualcomm) and force a per-segment or per-family licensing fee that it believes is fairer, and obviously, much less expensive. The renewed agreement with Samsung is a significant sign that the largest mobile technology providers in the marketplace do not view the business practices of Qualcomm as overly aggressive or unreasonable. 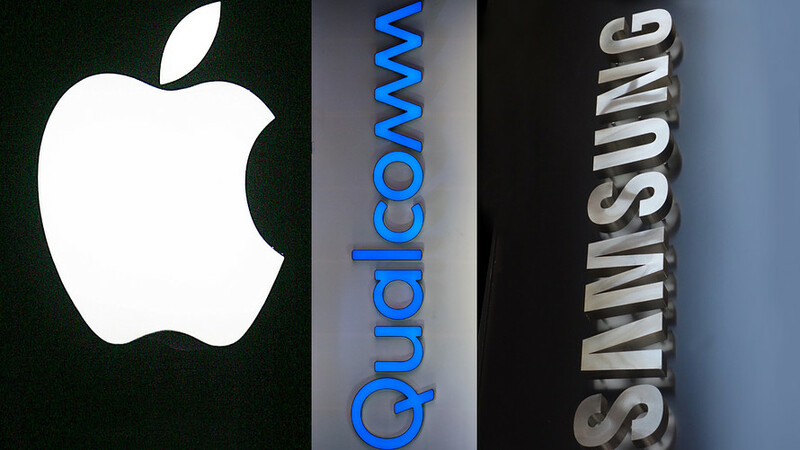 If Samsung finds it fair and necessary to engage with Qualcomm to license the company’s significant patent portfolio, all while maintaining record revenue growth, there is little reason that Apple cannot and will not have to do the same. This marks another data point, and a big one, for Qualcomm in the on-going legal fight. Also important is that Samsung has agreed to step away from its involvement in the Korean Fair Trade Commission investigation (and current appeal) into Qualcomm’s licensing practices and business models. Considering Samsung was the instigator of the inquiry by the KFTC, this provides a higher likelihood of the appeal from the San Diego-based company being approved. In a year that has seen several legal setbacks fall upon Qualcomm, the removal of the KFTC complaint would be welcome news. Though details were sparse in the agreement announcement, the easy assumption is that Qualcomm offered Samsung an advantageous agreement in order to help clear the battle with the KFTC and utilize in the battle with Apple. 3GPP regulations do specify that licensors must offer equal terms for all partners, regardless of size and situation. But nothing precludes Qualcomm from providing additional resources (engineering help), access to additional IP that would otherwise not be available, etc. A second announcement between Qualcomm and Samsung on the same day, also overlooked amid the mass discussion over financials, mentions an expansion of the “strategic relationship” between the Korean technology company and Qualcomm’s product division. Details are again limited, but it includes wording that can give us clues. Qualcomm President Cristiano Amon says the new agreement will be “driving core mobile technology into many different segments.” This might include the use of Snapdragon processors in more of Samsung’s smartphones, a new family of Samsung Windows 10 PCs using Snapdragon hardware, or even something surrounding process technology and foundry agreements.